Three buildings on the campus of San Diego State University were briefly evacuated Friday due to a gas leak. Campus police reported the leak just before 9:20 a.m. and said officers and firefighters were evacuating Hardy Tower as well as the Communications building and Professional Studies and Fine Arts building. In a series of alerts, police asked those on campus to follow instructions from emergency responders, call 911 for emergencies and to calmly exit the three buildings affected by the leak. At 10 a.m., firefighters had cleared and reopened all three buildings. It was unclear how many people were in the buildings at the time. 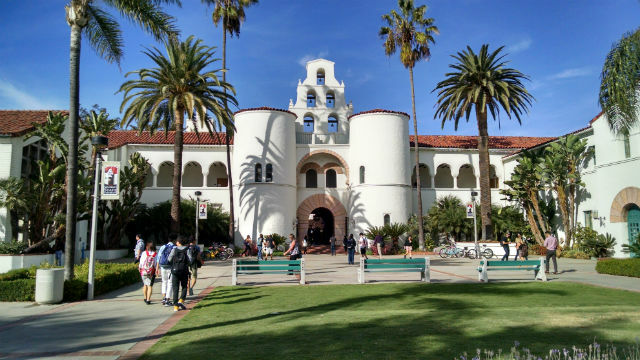 SDSU is offering classes as part of a 13-week summer session and the first of two six-week summer sessions.